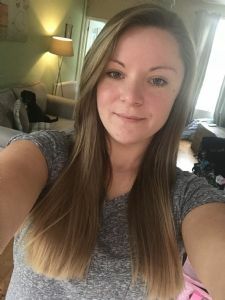 Shannan - Caregiver / Companion, Personal Support Worker Southsea PO4 Part Time Hello my name is Shannan. Hello my name is Shannan. I have spent a lot of time looking after children since I was a teenager in fact it was my first ever job. I have now followed a career in Intensive Care (So that’s all first aid needs covered. ) but enjoy having and creating fun with little ones (Even if it makes a mess. ). I am bubbly and outgoing with a caring heart. Lots of trips out and fun to be had on a day with me, it’s safe to say the little ones won’t be bored. I can also help with homework and drive so transport is no issue. I am available around work shifts but I don’t have a set Rota so you would need to be flexible as I can’t commit to the same time each week. However, I will always do my best to meet your needs as much as possible. I look forward to hearing from you and your little ones. I am currently working in intensive care with the NHS so able to provide nursing care and support. I am a bubbly outgoing person who can provide services from housekeeping and errand running to companionship or personal care. I always work with care and compassion and look forward to hearing from you.